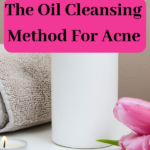 Oil Cleansing Method when you have acne goes against what everyone says as the typical skin care for acne. 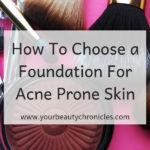 The general norm is that oil-free is best when it comes to acne prone skin. I tried all possible face washes meant especially for my acne-prone and oily skin in my teens and 20’s. Nothing helped the acne. I wished it were that simple, just to wash the acne off. I specifically bought moisturisers that said oil-free, but even the best of them left my skin looking oily a few hours later. This was all perfectly fine when I was in my 20’s. However, my acne stayed with me well into my 30’s. The oiliness I had in my 20’s was no longer there to soothe my skin. As much as I did not like it then I realised it was keeping my skin moist. Now I used to dread the thought of using any face wash however gentle the label said it was, on my now drying skin. It left my skin red, raw, tight and itchy. 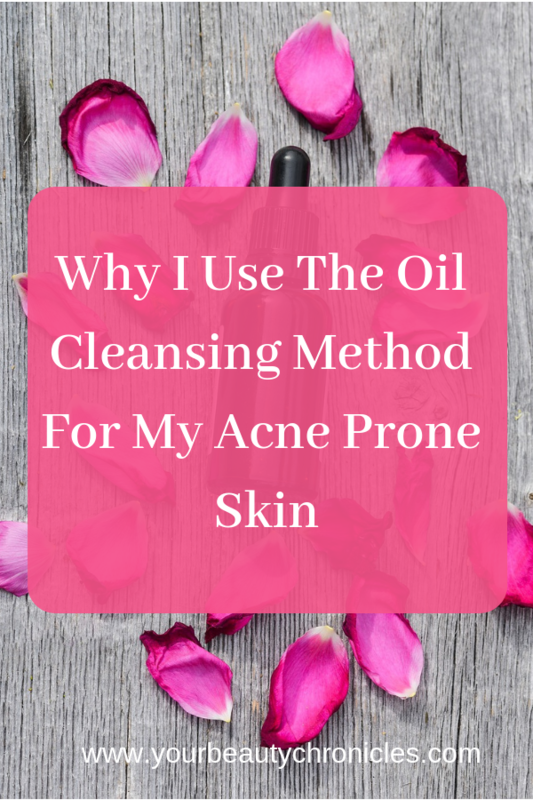 I took to the internet to try and find a better way of cleaning my skin when I came across something called OCM or Oil Cleansing Method. I had never heard of it before. To explain a bit further, what it means is that you use oil to clean your face. Till this time oil on my face was something I feared. 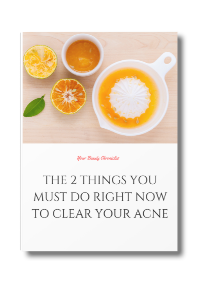 Oil is bad for acne. Use oil-free everything, screamed most people including my dermatologist. I read a few people’s experiences with OCM and it had mixed reviews. 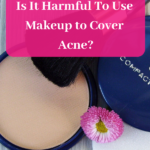 Some said it caused them breakouts, some raved about it and some were not too sure. I had tried everything and had nothing to lose. So I took the plunge, armed with some almond oil and a face cloth. I gently massaged the oil into my face, then slowly wiped it off with the hot, wet face cloth. My face looked a little oily and felt sticky after but I decided to stick it out. I did this just once a week initially and kept track to see if it caused any breakouts. Of course, I was doing other things to take care of my acne like diet. So did OCM make my skin break out? No, it didn’t. In fact, the results amazed me. 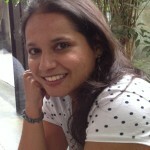 After hearing that oil was the big bad wolf when it came to acne, the way my skin looked after OCM was a revelation. The redness on my skin went away. The pores got smaller. The tightness and itchiness disappeared after the first OCM. Contrary to what I expected that my face was not oily at all, but dewy. Now isn’t that just something we all crave for? I kept track for about 8 weeks to see if I would break out. I did not! Later on my stopped, all face washes completely. The face washes were taken out of the bathroom as they were just using up space. I threw them out. And have never bought one after that. Fast forward a year later, I not only use oil to clean my face but use it as a moisturiser too. Oil even removes my heavy make-up. After my shower, I reach for the jojoba oil, take a couple of drops in my palm and gently apply it to my face. Please do not try OCM when your acne is severe and cystic. Wait till it starts healing to try this one. OCM is very easy to do. All you need is some oil, a soft clean face cloth and hot water. The face cloth you use should be soft and gentle. You do not want it to be rough on your skin. Here are the steps to follow. Dampen your face with some water. Massage this oil all over your face in circles. Use your fingertips only and please be gentle. Do this for about a minute. The oil loosens the plugs in your skin created by dead skin cells. This cleans out your pores. Place the face cloth so that it covers your entire face. This opens up the pores. When it cools take it off while gently wiping off excess oil. Repeat steps 4 and 5 twice more. Now dip the face cloth in some cold water and place it on your face so that your whole face is covered. This closes the pores. I additionally splash more cold water on my face. Pat dry and use moisturiser. My skin is really dry so I use coconut oil. 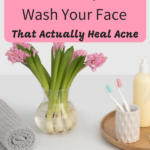 Oil is not the cause if you have acne in your 30’s. The oil that you see on your face when you complain about having oily skin is not oil from external sources. 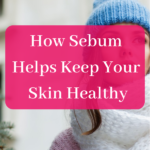 It is the oil that is secreted by the sebum or oil glands in your skin. The more you try to wash it away, the more oil the glands will create. OCM will not cause breakouts nor will it heal them on its own, but your face will be calmer and look better. Mine certainly does. Now, this is not for everyone. 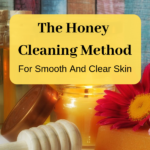 If you are comfortable with your current cleansing method, do continue with it. However, if you want to give it a try, you might be pleasantly surprised with the results. However, I strongly recommend that you do not try this out if you have very bad acne. 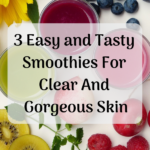 Follow my tips to get your skin on a healing path first.